• I was shocked at the statistics I read regarding the low percentages of ethnic minorities in the donor registry. • Stunned that there are people who decline to donate when notified they are someone's potentially life saving match. • Heartbroken to learn so few people in need ever find a match. • I was also relieved, grateful and impressed beyond belief by the donor programs and recruitment groups who all so quickly and willingly shared information and support with me when I contacted them. My experience building the HelpingTami.org website to try to help my cousin find a marrow match has led me down a new path, that of advocate for those in need. I quickly realized that one way I could help was to create more publicity and help teach others how to do the same to help educate the general public not only that the donor programs exist but that they can help to make a difference beyond registering themselves. They can help to spread the word. This is an absolute necessity if we are going to raise awareness to inspire others to get registered themselves. Among the many efforts I am making at this time is to help other patient's families/teams by sharing all that I've learned about the process with them. 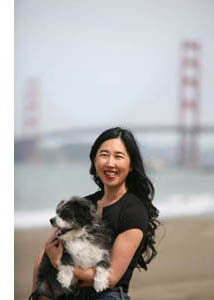 It took me a solid eight weeks of research and four more to create her website to finally get a grasp on what could be done to help someone in need and roughly how to go about doing it. Why should each team start over at square one? Now that I've been through it I want to make the information available to all who need it. 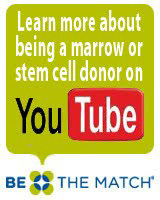 In 2010 I was approached by "Be The Match" and assisted in creating the new SMART program (Social Media Active Response Team) for the National Marrow Donor Program. Even though Tami is now on the road to recovery after receiving her stem cell transplant, I am dedicated to this cause for the long haul. I hope you will join me in this effort and help to change the staus quo. My hope is that one day patients in need will only have to wait a few weeks, instead of months or years, to locate their match in the national or international registries and that everyone in need will find a match in time.